JNN 19 Jan 2014 Kabul : Twenty one people, including 13 foreigners, were killed in Friday’s terror attack at the Lebanese Restaurant in Afghan capital Kabul, the Kabul police chief said Saturday. “A total of 21 people, including 13 foreigners, were killed in the Friday’s Kabul attack at the Lebanese Restaurant,” police chief General Mohammad Zahir Zahir told local media Saturday morning. He said that four foreign women and an Afghan woman are also among those killed in the deadly attack.At least six more people sustained injuries in the attack. Meanwhile, the UN mission office in Kabul said that four UN staff members, including International Monetary Fund (IMF) country representative, were among those killed in the bloody incident. 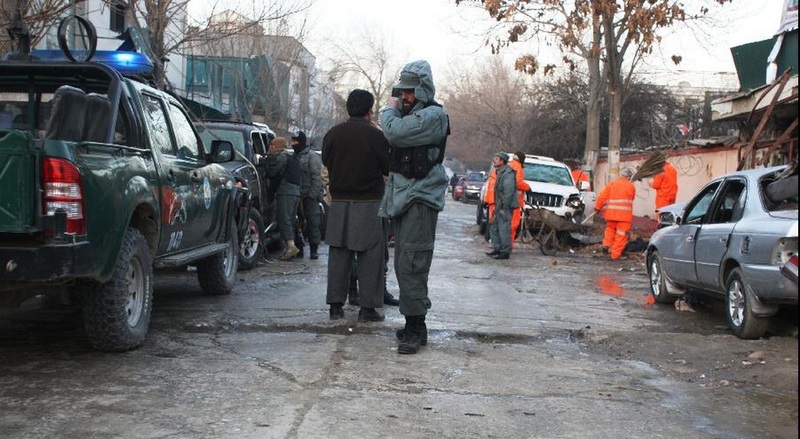 On Friday evening, three Taliban suicide bombers launched a coordinated suicide bombing and shooting attack at the restaurant located in street 14 of Wazi Akbar Khan, the diplomatic enclave in central Kabul. One suicide bomber detonated his explosive jacket at the entrance of the restaurant compound, paving the way for the other two attackers to enter the restaurant and began shooting on the guests. “Four United Nations personnel, along with a number of those from other international organizations, are now confirmed dead,” the UN statement released here on Saturday said. “The secretary-general condemns in the strongest terms the horrific attack at a restaurant in central Kabul on the evening of Friday, Jan. 17,” the statement added. 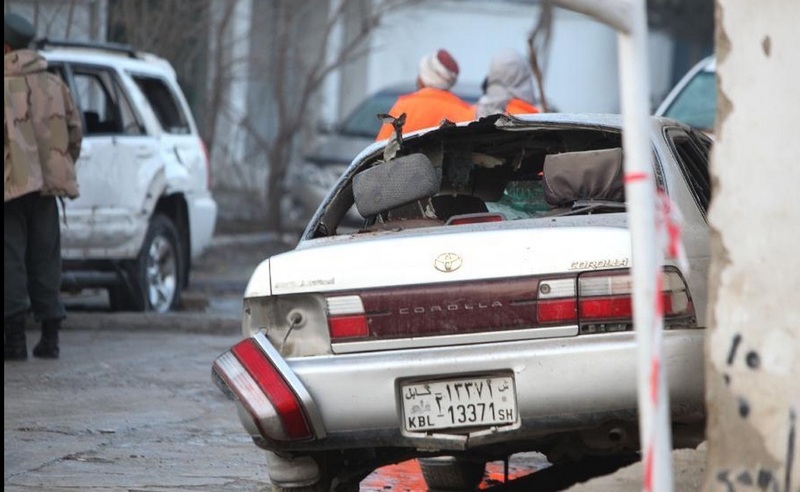 Kabul police chief also said that citizens from Canada, Russia, Lebanon, and the European Union countries were also killed in the attack which occurred at around 19:15 p.m. local time Friday. The local media also said two Canadians and a Briton were among the foreigners killed in the attack. The nationalities of the other casualties still remained unknown. Following the attack, the Taliban insurgent group claimed responsibility for the deadly attack, saying in a statement the suicide bombers targeted foreign occupiers. It was another friendly evening at the Taverna du Liban restaurant in Kabul, with Afghans and foreigners enjoying the generous helpings of food when a blast exploded outside and gunmen burst in, intent on killing everyone they could find. The restaurant, tucked down a discreet backstreet in the smartest district of the Afghan capital, was surrounded by ambulances, armed commandos and desperate relatives following the devastating attack. “My uncle had come with his friend,” Hamid, in his 20s, told AFP as he stood in the freezing cold outside. Established several years ago, the Taverna had a reputation as a low-key hang-out where well-known Lebanese owner Kamal would be on hand every night to oversee business. Kamal was among the 14 people murdered on Friday by three Taliban suicide attackers. A relative of a staff member told AFP that Kamal had grabbed a gun from his office and was shot dead at the bottom of the stairs, defending his restaurant. The Taverna was one of the few social venues in Kabul where locals and foreigners mixed with ease, enjoying its Lebanese staples such as hummus, falafel, shawarma kebabs and bakhlava dessert. One cook recalled his dramatic escape from the carnage. “I was sitting with my friends in the kitchen when an explosion happened and smoke filled the kitchen,” kebab cook Abdul Majid told AFP while being treated for leg fractures in a nearby hospital. The restaurant’s wide range of customers included Afghan businessmen, government officials, foreign diplomats, development consultants and aid workers. It was renowned for its fresh mint and lemon juice and for its waiters bringing free chocolate cake as dessert. Often at lunch and in the evening, several large 4×4 vehicles idled outside the heavily guarded entrance, waiting for diners to finish their meals. The Wazir Akbar Khan district is home to several other well-guarded restaurants used by foreigners as well as some shops and a large supermarket. But many diplomats and expat workers are already banned from visiting such places due to the security threat. After the attack on Friday, further restrictions on normal life seem certain. This entry was posted in Asia Pacific. Bookmark the permalink.